The Real Housewives of New Jersey star Teresa Giudice has confirmed that she will not stay with husband Joe Giudice if he is deported after his current prison stint. As a brief refresher, Joe is currently serving a 41-month prison sentence for mail, wire and bankruptcy fraud. He began serving his sentence in March of 2016, a couple months after his wife Teresa Giudice was released. Joe is scheduled to get out of prison later this year 2019. In case you were unaware, Joe’s parents immigrated to the United States from Italy when he was a year old. But, they never went through the process of making him a naturalized citizen, and that is why he is eligible to be deported. His conviction for fraud is on the short list of things that clearly merit deportation, so it appears as though he has a tough battle ahead if he hopes to remain in the United States. It is believed that his strongest defense will be to argue that his deportation would cause extreme hardship for his wife and children — but will that be enough? Another argument that would normally be made in deportation proceedings for someone who has been in the country legally for more than four decades would be his strong ties to the community, but Joe’s convictions seem to indicate that he and “the community” are not on very good terms. An official with Immigration and Customs Enforcement revealed in June that ICE had started removal proceedings against Joe, and one week later a Department of Justice rep confirmed that “an immigration judge ordered Mr. Giudice removed from the United States on March 14, 2018.” Joe and his legal team have appealed the decision. You can see Teresa’s full conversation with Andy on The Real Housewives of New Jersey Reunion finale, airing tonight at 8/7c on Bravo. 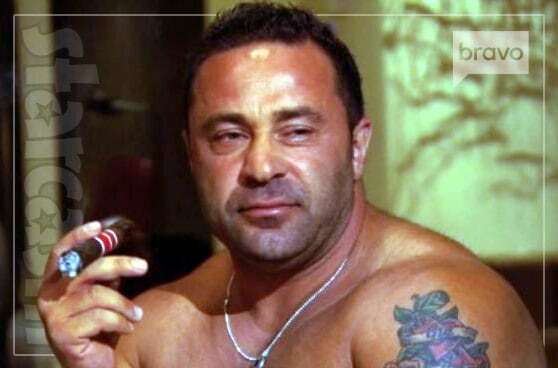 Rumor: Did Joe Giudice father a son with mistress Tara G.?